Sometimes problems turn out yo be a great blessing. Carolyn Curtis’s office was filled with mold and mildew from a roof leak after the severe rains. The roof leaked and damage went unnoticed for several weeks because the water was coming into the interior walls and did not show other damage. 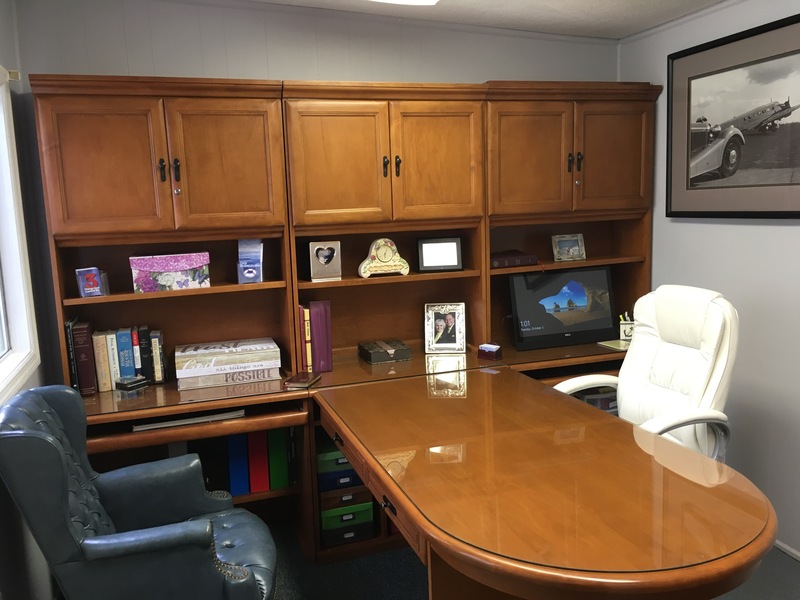 The roof is now fixed, the mold and mildew gone, everything is like new even the beautiful office furniture (bought on Craig’s list). A nice place to welcome visitors and continue the work that Carolyn does for SOS Events Ministry. God is so good. Praise the Lord for turning this problem into a blessing. This entry was posted on October 16, 2017 at 11:36 am and is filed under blessings, God's love, Personal Testimonies. You can follow any responses to this entry through the RSS 2.0 feed. You can leave a response, or trackback from your own site.